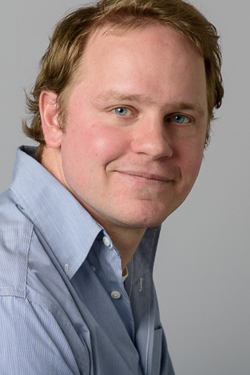 Bart Crielaard, MD, PhD, is an assistant professor at the Zernike Institute for Advanced Materials, and heads the group Clinical applications of bio- and nanomaterials. Dr. Crielaard studied Medicine and Biomedical Engineering at the University of Groningen, The Netherlands, and obtained his PhD in Pharmaceutical Technology at Utrecht University, The Netherlands. His current research interests include the development of new drug delivery strategies and targeted therapeutics for the treatment of various diseases. Nanomaterials, Drug Targeting, Pharmaceutical Technology, Hematology, Iron Metabolism. The research group Clinical applications of bio- and nanomaterials operates on the boundaries of material sciences, pharmaceutical technology and medicine, studying biomaterials and nanosized materials for diagnostic and therapeutic applications. For this aim, it designs, develops, and evaluates targeting approaches, ligands, and new ‘smart’ biocompatible materials and nanoparticles that can be used for drug targeting, drug delivery and medical imaging applications.